If you use WordPress to power a service website, you’ll know that gaining visitors does not necessarily equal finding clients. A lot of factors go into converting visitors to paid customers, but few are as important as your prices. 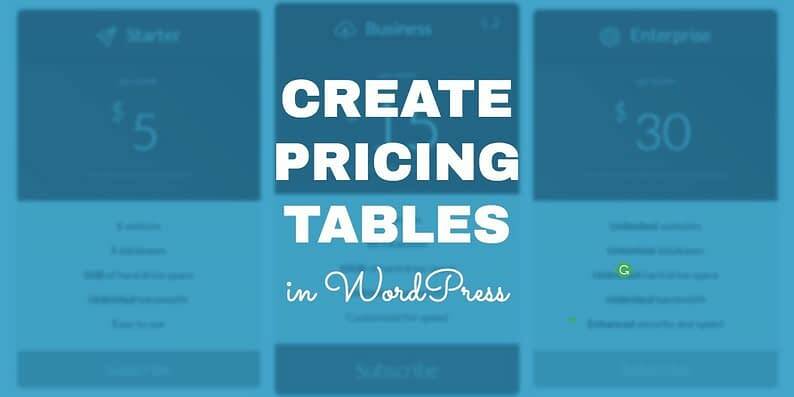 When it comes to presenting that information, WordPress pricing tables are one of the best tools at your disposal. WordPress pricing tables enable you to get across both your prices and the all-important details about your services. They’re informative, concise, and they can look quite stylish to boot. 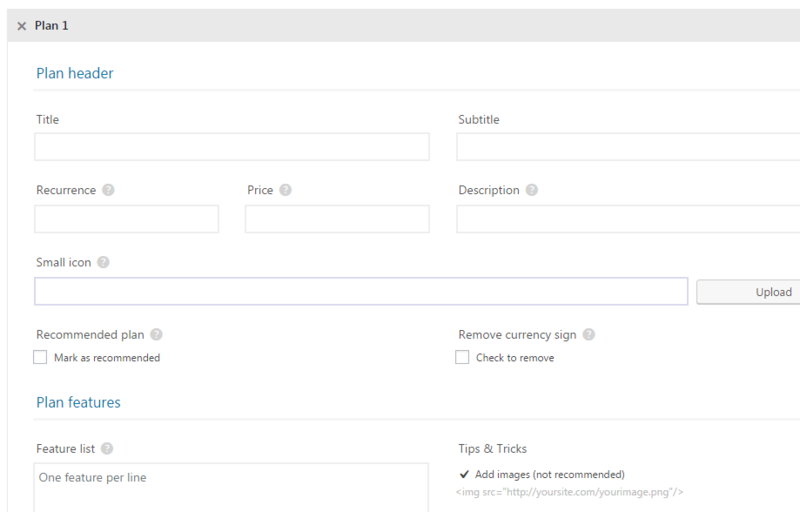 During this article, we’ll introduce you to the Responsive Pricing Table plugin. Then, we’ll guide you through five simple steps to create and insert WordPress pricing tables into your site. Let’s find out if the price is right! The Responsive Pricing Table plugin is very straightforward. It enables you to design an almost limitless number of WordPress pricing tables, and insert them into your site. It also includes its own table creator, which comes with all the fields you’ll need, including prices and feature lists. As far as we’re concerned, the plugin’s only downside is that it only supports up to five pricing plans per table – however, for most cases this will be plenty. Enables you to create unlimited tables. Supports up to five plans per table. 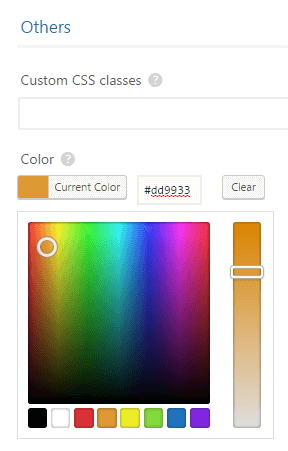 Provides a custom CSS section to tweak your table’s style. 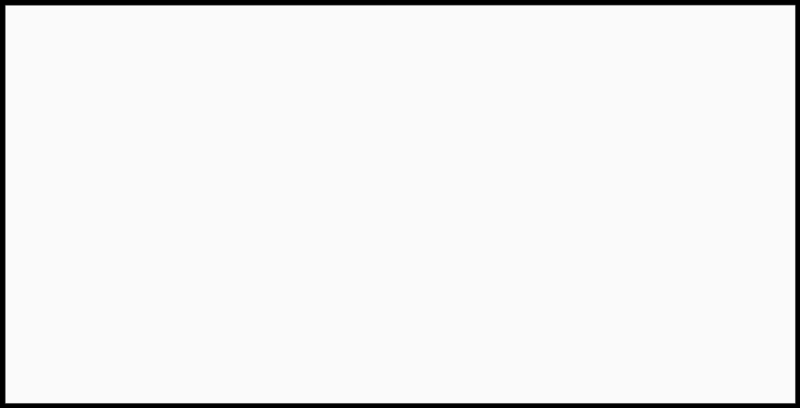 Lets you insert tables almost anywhere on your site using shortcodes. 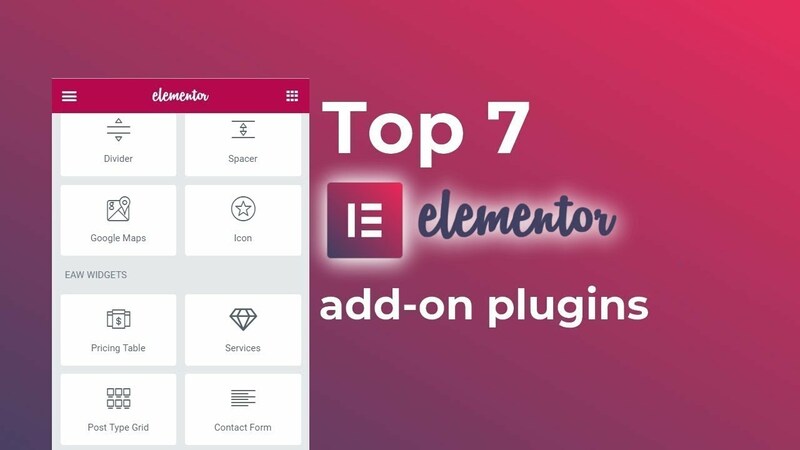 The plugin’s free version should be enough for most cases; however, there’s also a premium version starting at $5 per month, which offers additional functionality such as themes for your tables, and the ability to add tooltips for your lists of features. Figure out a name for each plan. Work out prices for all of them. Outline the features that each plan will include. Come up with a Call To Action (CTA) TK – for each plan or an overall one. When you’re ready, let’s move on to step number one. A title, subtitle (a sort of one-line summary), and description. Price and recurrence (e.g. monthly, yearly, etc.). 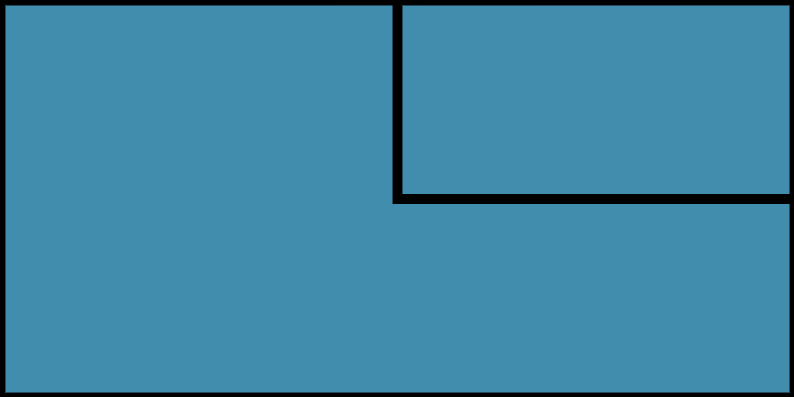 An icon (which appears at the left of your titles) and recommended plan (more on this later). A feature list, where each entry gets its own line. The text for your call to action. Next up is creating your pricing plans. Once you have a base table, it’s time to kick things up a notch. 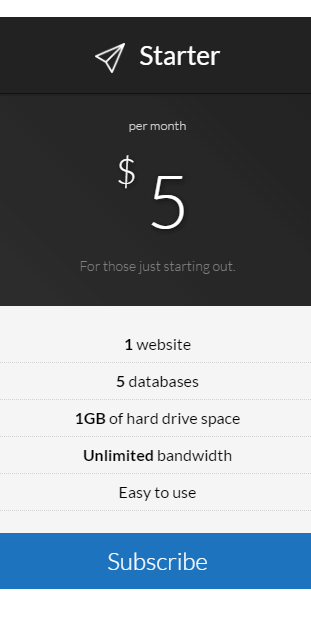 Our plans are ready, but there’s still work to be done to make our pricing table stand out. For starters, we can choose to display one of our plans as a featured choice, enabling us to push a particular plan that’s beneficial to both us and our customers from a pricing and feature standpoint. Once you’ve made your customizations, the final step is to insert your pricing plan into a WordPress post or page. There’s a reason why lots of websites use pricing tables – they offer an elegant (and effective) solution to a complex problem. They enable you to provide customers with nearly all of the information they’ll need to make a decision about your services, without resorting to long paragraphs – and they can look great too! 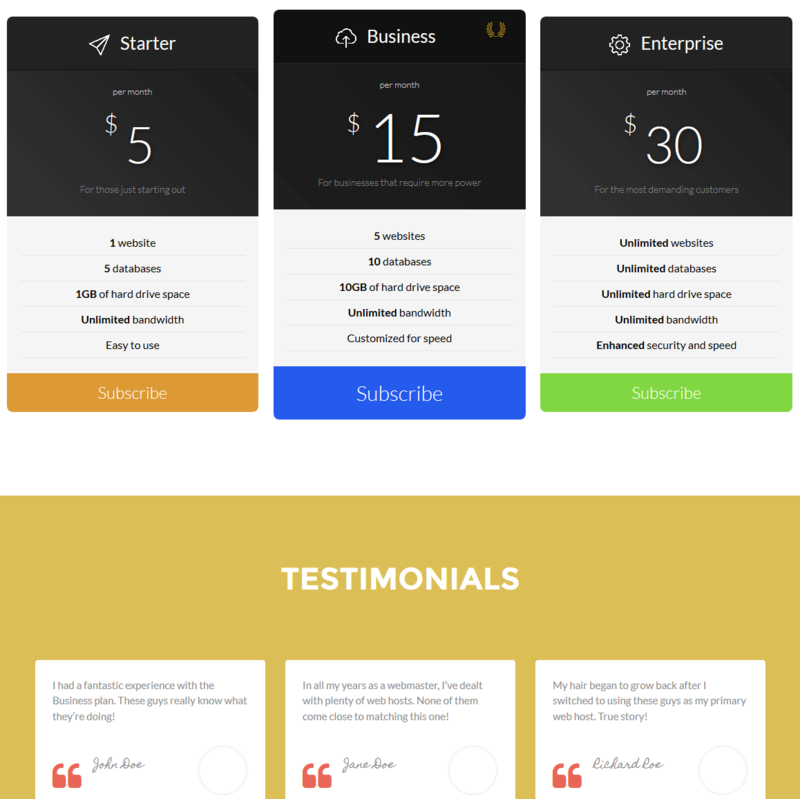 Familiarize yourself with the Responsive Pricing Table creator. Choose a plan to highlight. Customize the style of your tables. 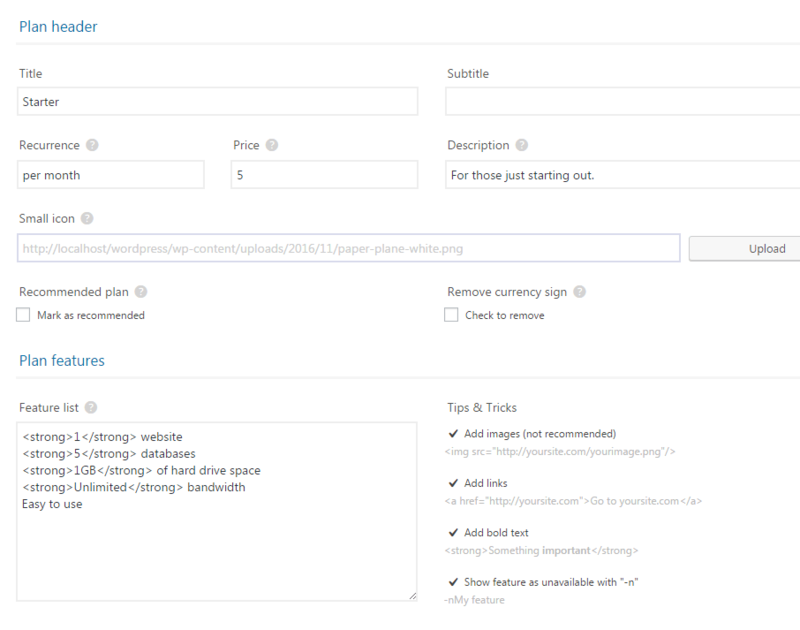 Insert your WordPress pricing tables onto their respective pages. Do you think WordPress pricing tables are a useful tool to boost conversions? Share your thoughts with us in the comments section below!